This is completely exquisite! 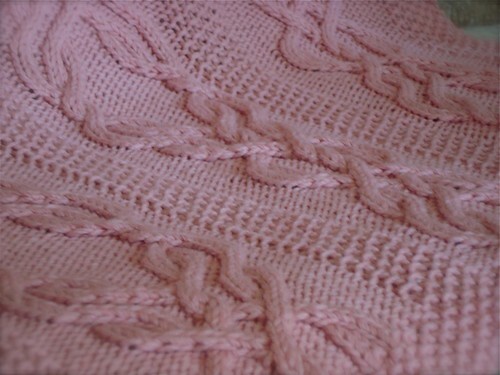 I know what I'll be knitting myself for a fall nursing shawl. WOW. Whenever I begin to think that I couldn't possibly need another shawl pattern, you come up with something so beautiful that I can't live without it. You have done it again. I'm going to put this into my favorites in Ravelry. Oh my, love it, ordering it NOW and must find some nice silky yarn. Beautiful!!!! 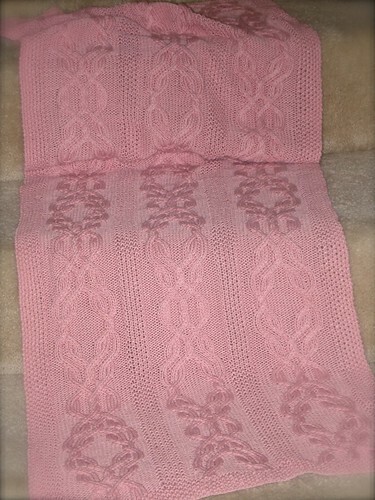 This is one gorgeous shawl! I love cables and these are really unique! This is so beautiful, I might actually make something for myself - this! My daughters name is Bria(r) Rose. I know I have to make her one of these as an heirloom piece. Stunning is the first word that comes to mind. You are very talented.